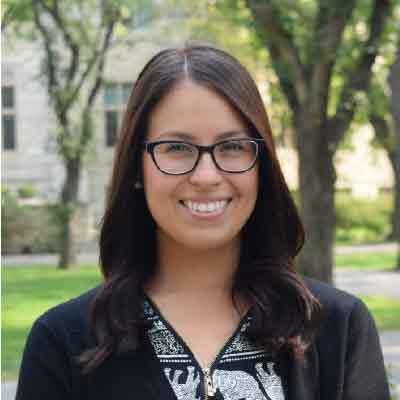 Jennifer joined the Aboriginal Students’ Centre (ASC) team in 2018 as Clerical Assistant. She is from Saskatoon, SK and is of Cree, Métis, and Chilean descent. Prior to joining the ASC team, she worked with the Saskatoon Tribal Council and with ICR Commercial Real Estate. With her welcoming demeanour and exceptional organization skills, Jennifer continues to thrive in her position and tasks, which include managing the front desk, providing support for programming and events, and facilitating event bookings for the Gordon Oakes Red Bear Student Centre.